Starting to think about a summer job? You might want to consider being a summer intern at a camp for elementary school students in Pontiac. Students from our congregation who have done this in the past have found it to be a rewarding and enjoyable way to spend the summer, helping young students and earning money for the following school year at the same time. 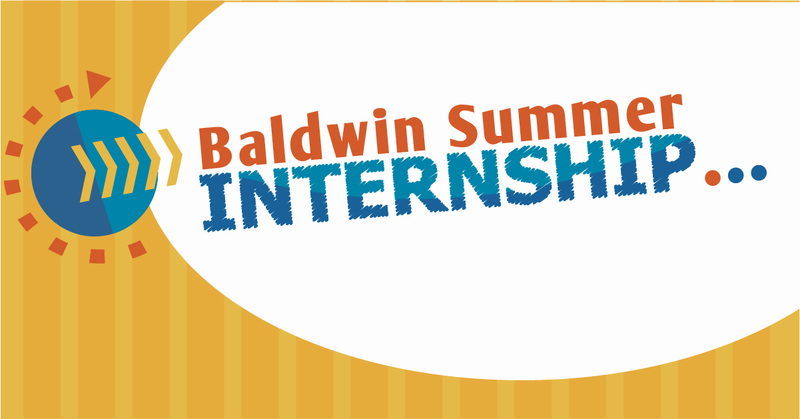 Our church will again be hiring summer interns for the Baldwin Center Summer Enrichment Program. This is a camp for students entering grades 2-8 who mostly live in the neighborhood of the Baldwin Center. Applicants must be at least 18 by the first day of camp. Preference will be given to those with at least one year of college and who are members of our congregation. The interns work at the Baldwin Center in Pontiac under the supervision of the Baldwin Center Director of Youth Programs. They act as teachers or teacher aides as required. Interns may also be asked to share their knowledge of a specific subject or talents, help with arts and crafts, recess, and keeping the classroom tidy. Interns also help during recess, morning drop-off, afternoon pick-up, lunch and with field trips. Very importantly, the interns interact with children who may especially benefit from extra attention. The Baldwin Center Summer Enrichment Program will run Monday through Friday from July 8 until August 16. Five days of orientation, training, and preparation will precede the start, Wednesday – Friday, June 26-28 and Monday and Tuesday, July 1 and 2. The week of August 19 will be used for cleanup and debriefing for a total of eight weeks work. Compensation for the summer is $3,100. If you are interested in one of these intern positions, the form must be completed and returned by Monday, April 22. Interviews will be held in April, either preferably in person or using Skype. We will attempt to make selections by Wednesday, May 1. Information on the Baldwin Center may be found at www.baldwincenter.org. For more information, click here to email Carrie Morse.